Starting on the farming side of the industry in 1998, Ryan began working for viticulturist, Craig McMillan. Getting outside to escape the computer was a no brainer for Ryan, he fell in love with being in the field, and before he knew it he was helping lay out and plant vineyards. Developing relationships from his vineyard work Ryan was able to get his hands on some extra Cabernet Sauvignon fruit in 1999. With that and the help of some food grade trash cans, he made his first batch of ‘home’ wine, producing about 10 cases. That wine was given to friends and family, who actually LOVED it! In 2000 Ryan was approached by Andy Kahn who had just started his own winemaking facility. Starting up his new business and tight on money, Andy suggested Ryan work for him (for free) in exchange for winemaking help and the use of the facility. Not willing to pass up the opportunity Ryan jumped in. He made his first 325 cases with 1.5 tons of Cabernet Sauvignon, 1.5 tons of Cabernet Franc, and .5 tons of Pinot Noir. That was the beginning of the Carr label. Each year they continued to make more wine, and after several years Ryan really had a good thing going. 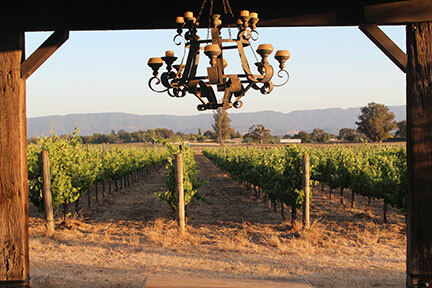 One of the main factors that sets Carr apart from other wineries in our area is that they lease vineyards throughout Santa Barbara County; including Sta. Rita Hills, Los Olivos District, Santa Ynez Valley, Ballard Canyon, and Happy Canyon. Growing in all of these locations allows Ryan to get to know and see the differences in each growing region and make many different varietals. California in general is a young wine region, so Santa Barbara is very new in the grand scheme of things. Being a young region we often look at older wine producing regions, such as France and Italy, for inspiration and advice. With that said, this is not Italy, or France, its California. We are finding our own techniches and styles over the years. You can see it happening in Santa Barbara, with all these sub appellations coming up. The basic understanding as to what our environment can do is increasing. Want to meet more local winemakers? Catch our current Featured Winemaker on our blog, or come meet them on the last friday of every month! “It is fairly easy to get interested in wine, it’s alcohol, it’s fun to drink, you are usually surrounded by great times and friends. However, there is a lot of work behind it. Long hours, early mornings, and late nights.” Fabian Bravo, winemaker for Brander winery has been devoted to the craft of winemaking since his first harvest in 2007. Like many, Fabian didn’t take a direct path into winemaking. He grew up in Gonzalez California, in the Santa Lucia Highlands. One of California’s premier cool-climate winegrowing districts. Surrounded by agriculture Fabian decided to take a different path. He attended Cal Poly for electrical engineering, and after college began working for a company in Goleta. He worked 4 years in his field but realized he couldn’t see himself growing old doing that type of job. Entering an early “mid-life crisis” he began to explore other career paths. During his soul searching he dabbled in baking bread at a bakery, looked into law enforcement, and taught high school geometry and algebra. Eventually he went back home to work as an engineer again. Shortly after, he met a friend who offered him a harvest position, he would have to take a leave of absence from work if he decided to do it. As harvest crept closer he finally decided to take the leap and began working for Siduri winery in Santa Rosa, California. That was the point where he decided this industry was something he could see himself doing for a while. Watch Part 2 of our interview with Fabian to hear his inspiring journey in his own words here. Right after harvest Fabian celebrated his birthday in Santa Barbara County, he went wine tasting, of course! One of the wineries he found himself tasting at was Brander winery. As fate would have it, the next Monday he saw that a winery had posted a job for assistant winemaker, which turned out to be Fred Brander, of Brander Winery. About a week after harvest at Siduri he started working as assistant winemaker for Fred at Brander. He is about to celebrate his 9-year anniversary there. Brander is well known for their Sauvignon Blanc production, which is celebrating its 40th vintage. Making 11 different bottlings every year. The vineyard was planted in 1975, and was first harvested in 1977. 44 acres are devoted mostly to Sauvignon Blanc, with a few other varietals planted on property. Brander has been practicing bio dynamic farming since 2010 which Fabian observed has given the wines a cleaner, fresher feel than before. Fred Brander has been working for many years to get the Los Olivos District AVA approved. All of his hard work has finally paid off, the 2015 vintages will be the first with this AVA on the label. Great work Fred! Enjoy learning about the story behind the Los Olivos District in Part 3 of our interview here. Want to learn more about local winemakers? Read up on our current featured winemaker! Larry Schaffer started off in the educational and trade publishing industry, but after a number of years felt he had finished everything he set out to do in that field, and started wondering about what was next. He had always been interested in winemaking, wondering how the process worked. How do you develop different wines from one grape varietal or another? Learning more about winemaking was the challenge he was looking for, and he left his career to get a degree in Viticulture and Enology. After studying and working for years, Larry began his new career as the Enologist for Fess Parker Winery. He chose to settle in Santa Barbara County because of the openness of the winemaking community, their willingness to help each other, and because the Santa Ynez Valley is a great place to raise children. After a year with Fess Parker, Larry started buying grapes to make his own wines, focusing on Rhone varietal wines under the label Tercero Wines. Tercero means “third” in Spanish, and the number three has many ties within Larry’s past and present. He was the third child in his family, he lived in the third dormitory complex at UC Davis, and he has three children of his own! 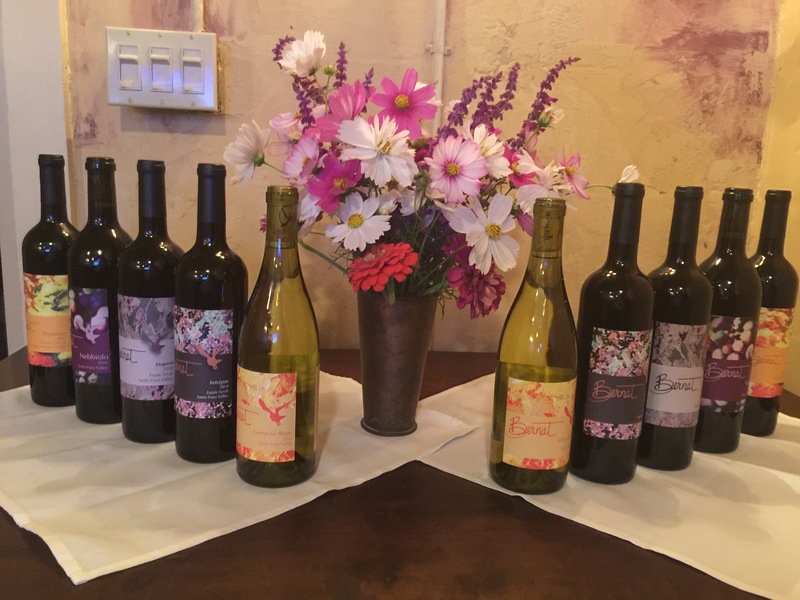 The Los Olivos Wine Merchant offers visitors over 400 labels to choose from – many of them sourced from local, family-owned boutique wineries dedicated to producing excellent, small production wines. With such an extensive selection, it could be a bit challenging to pick just the right bottle, but savvy owners Sam and Shawnda Marmostein have knowledgeable staff on hand to help make sure you chose a wine that will please your palate. Andre w Scherer, Wine Director, has been with the Los Olivos Wine Merchant & Café since early 2015. Starting out as a busser in the hospitality industry at the Pebble Beach Resort in Monterey, CA, Andrew worked hard to make his way up from a busser to becoming a server and sommelier. His professional progression included passing the first two levels of the Court of Masters Sommeliers, an independent examining body established in 1977 that offers certificates and diplomas for Sommeliers, and a move to Beverly Hills, where he became part of the team opening Wally’s Vinoteca – with 1,000 labels in their retail space. Although he learned a lot about the wine industry’s retail side, Andrew missed the Central Coast. So, when the opportunity came to work at the Los Olivos Wine Merchant, he jumped at the chance. Andrew has loved working with Sam and Shawnda. 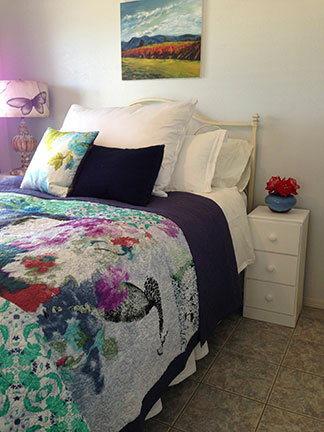 He feels they provide a working environment that is comfortable and caring. And, he has appreciated their mentorship. One of the “perks” of his job is the opportunity to get out into the community and develop relationships. Los Olivos is a close-knit township with 48 tasting rooms, which have a long-standing tradition of mutual respect and support, something Andrew says is unique and that you won’t find everywhere. The Santa Barbara County is home to 6 AVA’s (the latest addition, the Los Olivos AVA, was officially added February 22, 2016). Andrew enjoys the opportunity of meeting and supporting winemakers from operations of all sizes. He is proud that the Los Olivos Wine Merchant & Cafe’s labels include many from small family wineries and is excited to introduce their product to the public. Since moving to the Santa Ynez Valley, Andrew has begun learning how to horseback ride. Sarah Farley, Wine Merchant, spent some time studying wine in Europe through a vineyard apprenticeship in Tuscany and wine classes in Bordeaux, before moving to Temecula, CA, where she managed a wine tasting room. Gradually she developed an interest in learning more about the Central Coast’s Pinot and Chardonnay varietals. While searching for more information, she found a job posting for the Los Olivos Wine Merchant and Café, and immediately called to set up an interview. Recognizing a great opportunity, Sarah accepted the position and has been happily working with visitors to find just the right wine for the past 6 months. Sarah feels her job is to be a liaison between the producers and the buyers. As one of the largest local wine providers in the area, there is so much to offer – many of them unique mom and pop labels that she is excited to represent. She is fascinated by the people who walk through the door, many from Los Angeles, and feels that she learns so much about wine from their conversations and exchange of ideas. Sarah is delighted to work in a place where she feels empowered to learn and do better. She feels that Sam and Shawnda lift people up with positive reinforcements rather than micro management. Because of that, everyone does well – because everyone wants it to do well, this makes for a happy, warm environment that is felt by everyone who walks through the door. With the encouragement of Sam, Shawnda, Andrew and the rest of the staff, Sarah is currently studying for her level 1 Sommelier exam in April. When she isn’t studying, Sarah likes to play a mean game of pool. Cassy Misiewicz is the latest Wine Merchant to join the staff. After graduating in 2014, she moved back to the Central Coast. At the time she didn’t know much about wine, but a close friend of hers offered her a job in a tasting room. Although she was nervous, the experience opened her eyes, and she found herself wanting to learn more about wine. Eventually, she decided to make the move to the Los Olivos Wine Merchant and Cafe when a position opened up. She enjoys working with the people who come in and feels that part of her job is to interpret – trying to figure out what the buyer likes and match it to a wine they will enjoy. Cassy also enjoys the mutually beneficial relationship with the other winetasting businesses in Los Olivos. She likes to share new wines, and gets a lot of enjoyment from seeing the changes. Cassy feels that Sam and Shawnda take the heart of food and wine and bring it all together. When she first arrived, she felt there was a true communal effort to help her learn, with a respectful exchange of information and knowledge. She enjoys knowing she can be herself, which makes coming to work and meeting with buyers fun. Eventually Cassy would like to take WSET courses to learn more about the technical aspects of the wine business. Perhaps she will also expand her knowledge of the little French and Russian languages she speaks too. With all of the choices before them, the wine all three were most excited about at this time was ‘A Tribute to Grace’ 2015 Rose of Grenache, Santa Barbara Highlands Vineyard, Santa Barbara County, California Wine. Winemaker Angela Osborn, born in New Zealand, does not have a tasting room, so Andrew works with her directly to get her wines into the Los Olivos Wine Merchant & Café. “Exceptional” was the word used to describe this offering. Sarah also remarked that she was getting very excited about the Pinot from the Santa Maria Valley – learning about the specific traits they had in common. And Cassy has been enjoying a lot of Syrah, especially ‘Zotovich’ 2013 Syrah, Blair Fox. No matter where your tastes lead you, one thing is clear. When you visit the Los Olivos Wine Merchant & Café, you will be met by wine merchants who are knowledgeable, friendly, and who will take the time to talk with you about your preferences – making sure that you leave with a bottle (or two) you will truly enjoy. 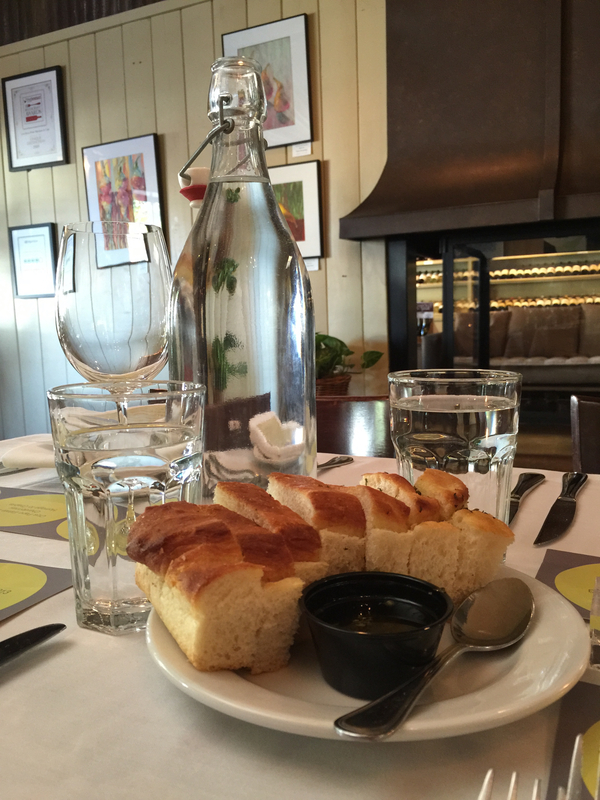 Two Los Olivos Cafe Stories – VOTE for your favorite ON Facebook! Here are the TWO SELECTED WINNING STORIES of our, “Our Los Olivos Cafe Story” contest. First Place winner receives two seat at our 20th Anniversary Celebration, December 12th. Second Place winner receives lunch for two with Bernat wine. These are two well told, true stories, worth reading. Each uniquely reflect an experience at the Los Olivos Wine Merchant & Cafe that is an honor to share. Vote for the story you pick for 1st Place on Facebook! It was a cold and rainy afternoon in town. The tasting rooms were quieter in the rain, but the wine was louder. There’s something about inclement weather and a glass of pinot that is deafening. The sidewalks thundered with downpours and drizzle. The hillsides bellowed with streaming lavender and chamomile and the vineyards resounded with the rhythm of fruit ripening, developing, and evolving into perfect maturity. The man pivoted his cane back down into the street with his wife tightly hinged to his hip. With a chivalrous glare he pulled her close as sheets of rain undulated across Grand Avenue whipping the flag pole and rousing the tasting room canopies and awnings. Water erupted from down spouts and drive-ways as the run-off of the younger, mobile generation rushed along the curb side and swirled around their lace-up walking shoes. As I watched them slowly move away, I thought about how many battles he had fought and how many wars he had won. I thought about how many tiny steps she had steadied and how many small hands she had held. I decided that we can do better … that we must do better. I ran ahead and intercepted them. “Please, come with me.’ I said. “I know another place right across the street where you can have a late lunch and get in out of the rain.” The man looked at me with surprise and uncertainty. The woman looked up at him and then back down at her wet shoes. I toddled beside them for what was mere minutes but seemed like a life time. I commented on the rain and the flowers. I talked about traffic and tourists. I chatted about wine and horses. They did not engage me. The walk was enough. As I looked across at him, I saw a man that had lived. His soft eyes and still-strong hands told a story of a patriarch and a provider. He was strength and resolve wrapped cavalierly in a British Khaki London Fog rain coat. She was a caretaker. Her face was furrowed with the fine lines of patience and the deep folds of compassion. She was the kind of woman upon whose back generations were raised and upon whose fortitude the tradition of family endured. In a place where we revere classic cars and clamor for vintage wine, these two shuffled quietly along the sidewalk, moving inconspicuously through a world that had quite simply left them behind. Step by step I felt the absurdity of the aging process. It is, after all, as Yeats said “tied to us like a tail to a dog.” Getting old is not random selection. It is not the luck of the draw or a tug of the short straw. But for the grace of God there go I, you and all of us. As we reached, “the other place,” the old woman looked up at me for the very first time. She did not speak. She examined me, and I examined her. In the soft hollow beneath her cheek, I saw my grandmother’s face from so long ago when she confided in me one snowy afternoon back in New York … that life was 5 minutes. I opened and held the door to the new café as the couple shuffled in. We were greeted by another young woman with a warm smile. “Three?” she queried. I said, “Well no, we are not together. You see, I just walked them over … they are looking for a warm place.” She smiled again, caught my eyes, and nodded, “Of course” and quickly seated the pair at a table by the fire. She set the man’s cane beside him, placed their hats by the mantle, and hung their wet coats on a spare chair. The old gent and his grand dame looked across at each other and seemed utterly transformed. I would be lying if I did not admit that they looked young again. I quietly slipped out the door as the young woman popped her head out and called after me, “Thank you for bringing them,” she said. As I bounded into the street, I replied, “Of course,” and we shared an existential nod, and I felt in that moment that I had passed a torch. I never saw the old couple again or since, and I know that bringing them some comfort was really a small gesture in the grand scheme of things. But, I firmly believe that it is the consistency of small deeds that can bring about monumental change. Sometimes life presents us moments that allow us to simply be people again. I firmly believe that part of our membership in the human race includes an inherent responsibility to protect and safeguard those that are weaker and more vulnerable than ourselves. The Wine Merchant Café presented the better side of us that day, the quintessentially human side in a world that in so many ways has lost focus and perspective and manners. It truly is a gathering place where friends meet, stories are told, wine is shared, and despite an outside world that often rages beyond our control, we can take personal moments and make our part of everyday life a little more perfect. Perhaps the larger lesson here is that within every tempest there is a calm harbor and within every storm there is a safe place. And that despite the tragedies that we have endured as a society, as a people, and as a town there is always a warm fire and a friendly smile … just a few, small steps away. They’re both great stories, but which one would you like to see win 1st Place? Vote on FB before Friday, December 4th! We first dined at Los Olives Cafe back in 2003 on a weekend getaway from LA. Driving into Santa Ynez Valley, the stress of our advertising jobs melted away. We were smitten with the beauty of the countryside, the quaintness of the area and the carefree vibe that instantly made us relax. After a day of wine tasting, we ended up at Los Olivos Cafe, eating dinner in the corner seats of the bar. 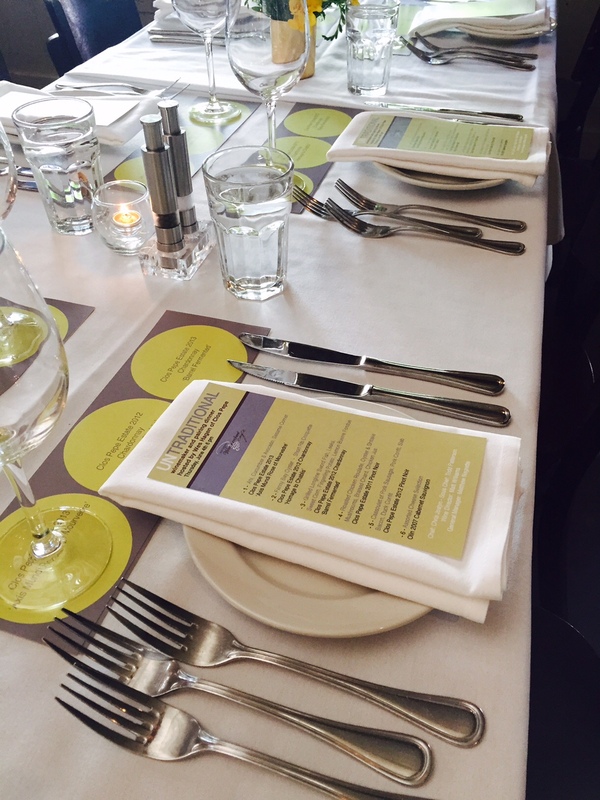 Everything about it was perfect – the wine, the food, the ambience. We were hooked. Little did we know how special this unassuming cafe would become. While in LA, we visited wine country often and always got our Los Olivos Cafe “fix” when there. Our careers eventually took us to New York and later, Las Vegas – we even spent a combined 2 years backpacking around the world. But no matter what, we always made sure to return to Santa Ynez Valley, our favorite place of all our travels. When we did, it was at Los Olivos Cafe that we’d talk about our hopes and dreams for our life together. Sitting there in “our” corner of the bar, enjoying The Good Life… it felt like we had all the time in the world and that anything was possible. 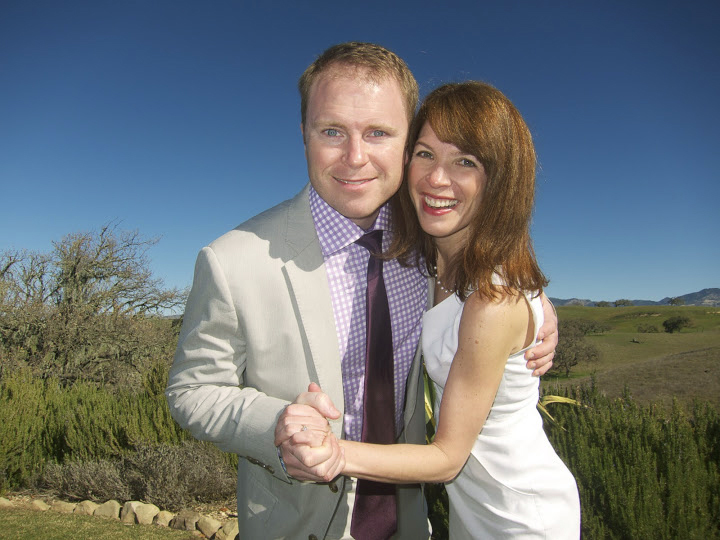 Finally, after 12 years of love, loyalty and friendship, we made the momentous decision to elope to Santa Ynez Valley on December 31, 2012. We stayed at the Vineyard Retreat and enjoyed our first dinner as husband and wife that very evening at Los Olivos Cafe. It was a magical time! 5 years ago, in 2010, the Marmostein’s added the Bernat Retreats to their property so out of town visitors could enjoy wine country living. Sam and Shawnda find it so fulfilling to see guests enjoying the property and the beauty that surrounds them. More often than not, their guests express the desire to drop everything and live the life Sam and Shawnda enjoy. And it is possible! That’s just what Sam did, and that’s just what Shawnda did. They have the winery, the vineyard, the restaurant, the wine store, the farm, and the retreats, but what makes it wine country living – is sharing it! It is a source of pride for both Sam and his wife Shawnda that their wine and the food offered at their Los Olivos Wine Merchant & Cafe reflect good stewardship of the land. The Bernat Vineyard that Sam planted on 4 acres has been CCOF certified organic since 2009. Their restaurant has a history of using ingredients from local farmers and growers, helping to support the agricultural heritage of the Valley. This year, they were able to utilize more of their land and started the Los Olivos Café Farm next to the vineyard. 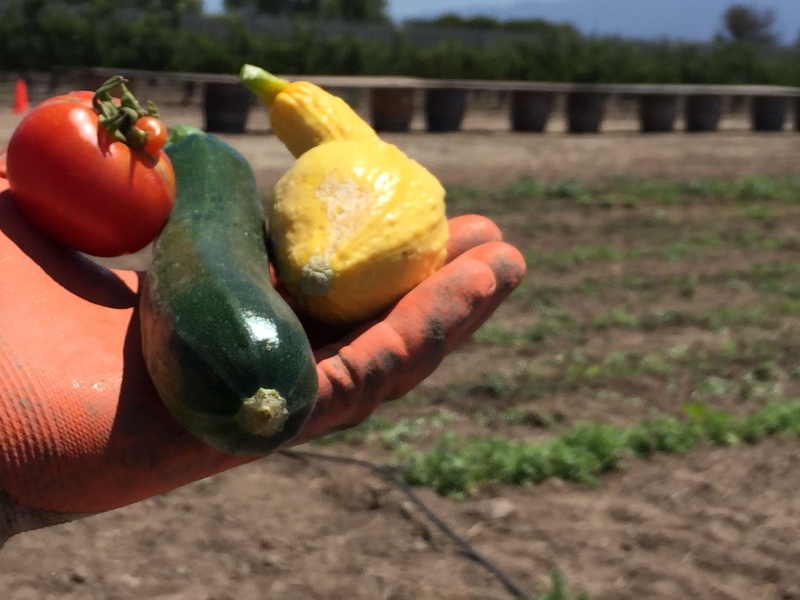 Growing the crops on their own land ensures that Los Olivos Café Chef Chris Joslyn receives a large selection of entirely organic produce to use in his dishes, picked from less than a mile away at the peak of freshness and flavor. The farm also provides the flowers for the tables at the Café and extra produce is being canned and offered for sale in their store. The Bernat four acre vineyard, with its 19 year old vines, is comprised of Sangiovese, Syrah, Nebbiolo, and Cabernet Sauvignon. The Cabernet vines were grafted over five years ago, so those grapes have not been bottled yet; 2016 should be their first release. A “signature” of any event that Sam and Shawnda host is their enthusiasm for giving back to the community by creating memorable, enjoyable moments for their guests. 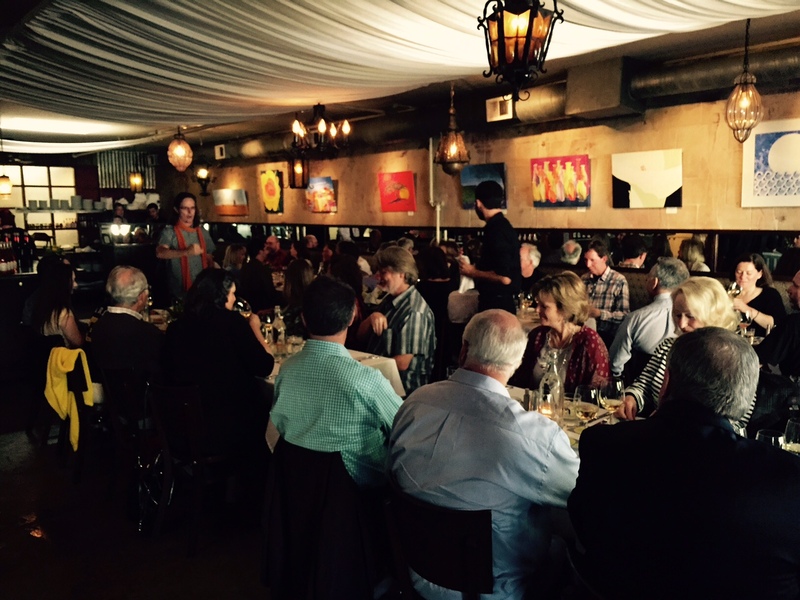 For those lucky enough to attend the sold out Annual Bernat Winemaker Dinner at the Los Olivos Wine Merchant & Café earlier this month on October 9, the Marmostein’s did not disappoint. Greeting guests near the bar with a tasting of their first Bernat 2014 Rosé Nebbiolo, Sam and Shawnda made sure each guest was warmly welcomed and at ease. By last Thanksgiving, Sam noticed that the grapes weren’t progressing and decided to pick, press, and ferment a Rosé. Only 100 cases were brought out a few months ago and with only 35 remaining it has become a welcome addition! Invited into the private dining room located at the end of the Wine Wall (made famous as the backdrop in the pivotal scene of the Academy Award Winning movie, SIDEWAYS), the intimate gathering of guests found their seats while Sam and Shawnda made sure everyone was comfortable. The family style tables, dressed with beautiful arrangements of flowers picked and arranged by Shawnda from the Café Farm, encouraged conversations among tablemates. It was easy to forge new connections and friends. Everyone was sociable and it was quickly learned that there were numerous anniversaries and a birthday to celebrate, which prompted many stories and laughter. One young couple was celebrating their anniversary and their first weekend “away” from the kids! Judging from the smiles, they seemed to be enjoying every minute. 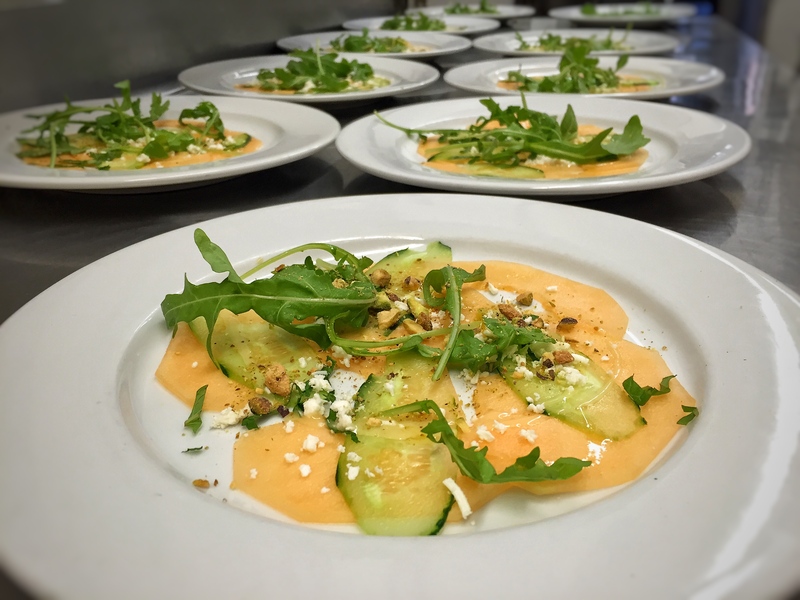 As guests settled and began looking with anticipation over the beautiful menus designed by Shawnda, the attentive waiters arrived with the first course of the evening – a cantaloupe and arugula salad tossed with mint, pistachios, feta and a lemon vinaigrette. This course was paired with the Bernat 2012 Grenache Blanc, Santa Ynez Valley, made with grapes from Camp 4 vineyard in Los Olivos. The perfectly balanced grenache blanc was left unfiltered to bring out the true flavor, and then hand bottled. The second course, hot smoked salmon on a bed of warm lentil and baby kale salad with a shallot confit soubise, was excellently paired with the Bernat 2010 Estate Nebbiolo. A lean 5-year old wine that feels kind of Italian, it is made from the last grapes to be harvested and takes the longest time to mature. Also taking the longest time in the bottle, it is well worth the wait. Chef Joslyn’s third plating was a mouth-watering ragout of duck and mushrooms on a bed of snap peas and pappardelle pasta. Perfectly paired with the Bernat 2011 Estate Sangiovese, Sam explained that only a ¼ acre of his vineyard is planted with Sangiovese, so there is very little produced of this excellent varietal. 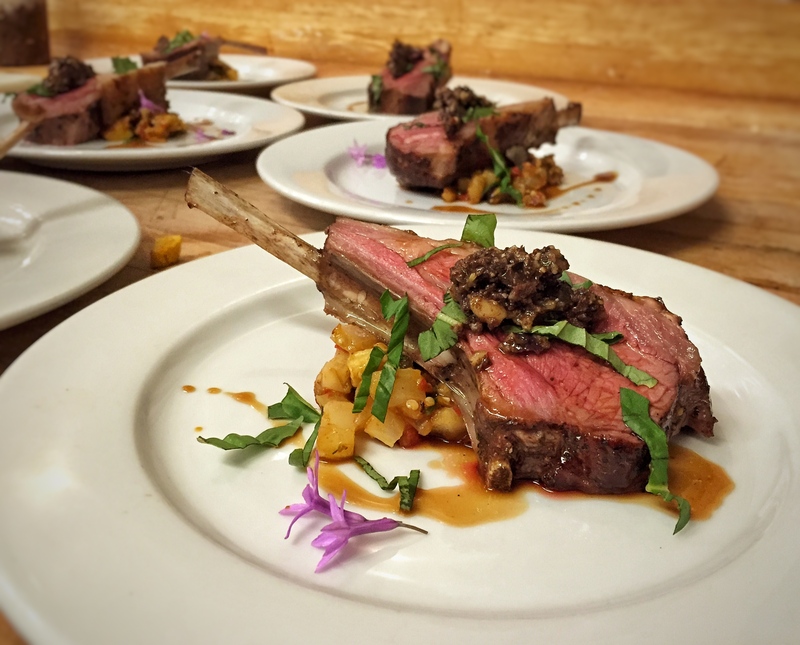 The richest course featured a grilled Colorado lamb chop placed above an eggplant, fennel, tomato and olive-pine nut relish, then drizzled with lamb jus. Cooked to perfection, the lamp chop was paired with the Bernat 2010 ‘Intrigue’ Estate Syrah. Double decanted before serving, it is Bernat’s flagship wine with a long finishing flavor. The surprise of the evening came with dessert. Accompanying a beautifully arranged chocolate fondant dessert with salted caramel ice cream topped with a crisp caramel sugar confection, Sam and Shawnda presented their first library wine. The 2002 Syrah, made exclusively from their vineyard, was enthusiastically received and provided an excellent finish to a wonderful evening. This winter marks 20 years of providing quality wine, food, and experiences for Sam and Shawnda. They will be celebrating this special Anniversary with a dinner event on December 12th. Currently, they are running a contest for best story. Throughout November, Shawnda will be collecting stories from guests about their experience at the Café. Did you get engaged there? Have your first date or celebrate a golden anniversary? Meet someone famous? Fall in love? All stories are welcome. If you have a café story to share, send it to info@winemerchantcafe.com with the subject line “Our Los Olivos Café Story”. Shawnda and Sam will select the top two stories and post it on the Los Olivos Wine Merchant & Café’s Facebook page for a vote. “Like” your favorite story and the winner will receive two tickets to the 20th Anniversary Dinner. Runner up will get a lunch for two. The 20th Anniversary Dinner is not to be missed! The menu will be a keepsake featuring old pictures and a timeline of the last 20 years, in addition to outlining the 3 courses paired with great wine. Bernat wines might be in one or more of the dishes, and they’ll be starting off with an amuse bouche and champagne. It is an evening for celebrating and reminiscing. The winning story will be read at dinner, and I’m sure there will be plenty of spontaneous stories to enjoy, especially from some of the employees who have been with Sam and Shawnda almost from the beginning! Reservations are now being accepted on eventspot. When you combine the Los Olivos Wine Merchant & Café with Wes Hagen of Clos Pepe for a winemaker and pairing dinner, you get an exceptional culinary evening that is not only “UnTraditional” in it’s bold wine and food pairings, but an experience that leaves you surprisingly convinced that, as Wes claims, beer and wine truly are the foundations of all modern civilization. The “UnTraditional” Winemaker and pairing dinner on June 7th started off with Wes introducing himself and promising to give, over the course of the evening, an explanation of each dish before it was served and, at some point, the history of why wine is the most important fermented beverage in the world…in 5-min. As an example, Wes emphasized the importance of gathering friends and family together around tables, such as those that evening, to share a good bottle of wine and linger to talk and connect in a way that is not possible through electronic gadgets. That face to face connection, enhanced by a glass or two or three of wine, often brings out the true natures of companions, and is a space where novel ideas can flow and alliances can be formed. As the evening progressed that culinary bar got higher and higher. The appetizer was followed by a small plate which featured a Fanny Bay oyster beside a Short Rib croquette, paired with a steel barreled Clos Pepe Estate 2012 Chardonnay, “Homage to Chablis.” The third course brought the same pressed grapes back to the table, but this time having been fermented in an oak barrel so that guests could easily taste the difference between the two processes. Paired with grilled Longline Sword Fish, leeks, sweet corn, fingerling potato, and a lemon buerre fondue, the Clos Pepe Estate 2012 Chardonnay “Barrel Fermented” was the perfect compliment. Moving on to the red wines, the fourth course introduced Clos Pepe Estate 2011 Pinot Noir to the table. Paired with a roasted chicken roulade, Oyster and Shitake mushrooms, braised chard, and chicken jus – the course melted in your mouth. A Cassoulet of pork sausage, pork confit, slab bacon, and duck confit was the feature of the fifth course. Neatly baked into small ramekins, this was the grand crescendo of the evening, and was excellently paired with the Clos Pepe Estate 2012 Pinot Noir. Before the final course of assorted cheeses paired with an Olin 2007 Cabernet Sauvignon, Wes delivered on his promise to explain why wine was the most important booze in the world and was the reason we have advanced in our civilization. Perhaps it might have been a little more than 5-min, but no guest complained. They would have sat there for an hour more listening to Wes deliver his information in such an accessible, humorous style, and with such an infectious enthusiasm for life. 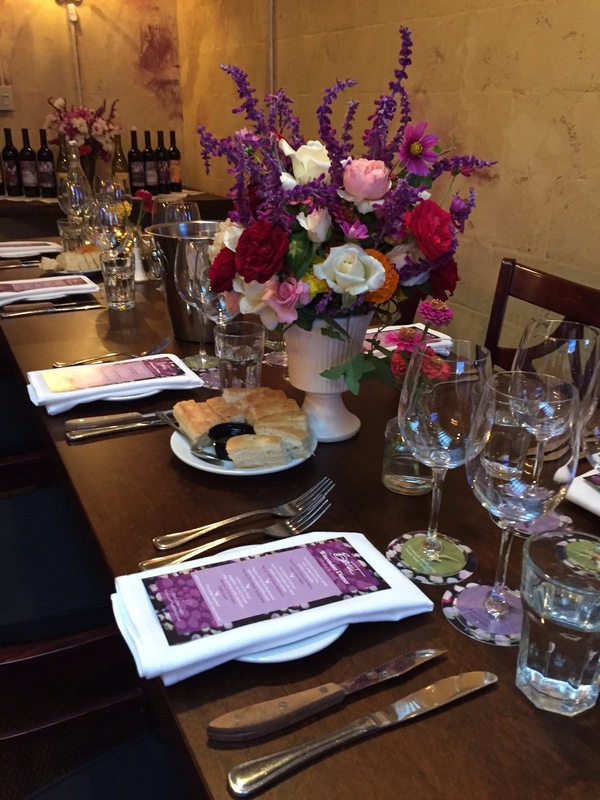 Host a Gathering with the Masterful Los Olivos Wine Merchant & Cafe! The Los Olivos Wine Merchant & Café has been offering quality dining for guests looking for excellent, freshly prepared food on a daily basis since 1995. Recently, they have expanded their service to bring that same level of expertise for intimate group experiences inside and outside the restaurant. For off-site events, the Los Olivos Café will deliver everything needed for a successful dining experience with their new catering van. Serving up the flavors of the California Central Coast, private residences or businesses can now host a top notch dining experience direct from the kitchen of talented Executive Chef Chris Joslyn. In addition to working with staff to customize the menu, there is discount pricing available from the restaurants wine selection for all off-site events too. The beautiful Santa Barbara Wine Country also offers many opportunities for an alfresco experience at a nearby park or winery. By calling ahead, a small group of 20 or more can order a 3 course gourmet lunch for delivery to any place with normal vehicle access in the Santa Ynez Valley or groups can pick up the budget friendly $20/per person lunch spread to take with them on their journey. The Los Olivos Wine Merchant & Café celebrates the bounty of the region, offering the best of the local wines and working with nearby growers and farmers to insure each dish will be an exceptional and memorable experience for guests. Enjoy a fresh spring morning with Breakfast at the Los Olivos Cafe! With spring launched, it’s time to take advantage of the clear skies and balmy weather of the Santa Ynez Valley. Get outside and enjoy our hiking trails, bike routes, and horseback riding opportunities, in addition to the many events and festivals, which are loved by locals and visitors alike! A great weekend should begin with a Friday afternoon arrival. If you’re smart, you’ve planned ahead to check into one of the comfortable Bernat Vineyard & Winery Retreats. From this private property it is possible to begin exploring the nearby area right away either on foot, with one of the provided cruiser bikes, or…leave exploration to the days following and just relax into a comfy chair with a good book, a glass of wine, and enjoy the rural landscape views from your own private patio. In the morning, a delicious weekend breakfast at the Los Olivos Wine Merchant & Cafe will jump-start the day. Executive Chef Chris Joslyn not only incorporates fresh, local produce into each dish, including local free range eggs for all the egg dishes, but also into the cocktails on the “Bubbly” menu. The “Seasonal Bellini” includes seasonal fruit puree, while the “Lavender Bubbles” is infused with house-made lavender syrup. These light and refreshing drinks set the palate for a wonderful dining experience. The Los Olivos Café menu offers a variety of Farm Egg Scrambles and a Classic Breakfast in addition to more special items. While all of the menu items are expertly prepared, these few unusual standouts shouldn’t be missed. Offered as a stand alone item, the “Café Yeasted Waffle,” a secret recipe pulled from owner Shawnda’s own family, is also a perfect, shared appetizer. This incredibly light waffle literally melts in your mouth. Presented with a comfit of berries on top and a small pitcher of maple syrup on the side, each bite is pure joy. The “Shakshuka,” a local favorite, consists of two eggs perfectly simmered in tomato presse, side by side with a small salad of fresh baby greens topped with sliced avocado and exquisitely seasoned breakfast potatoes. 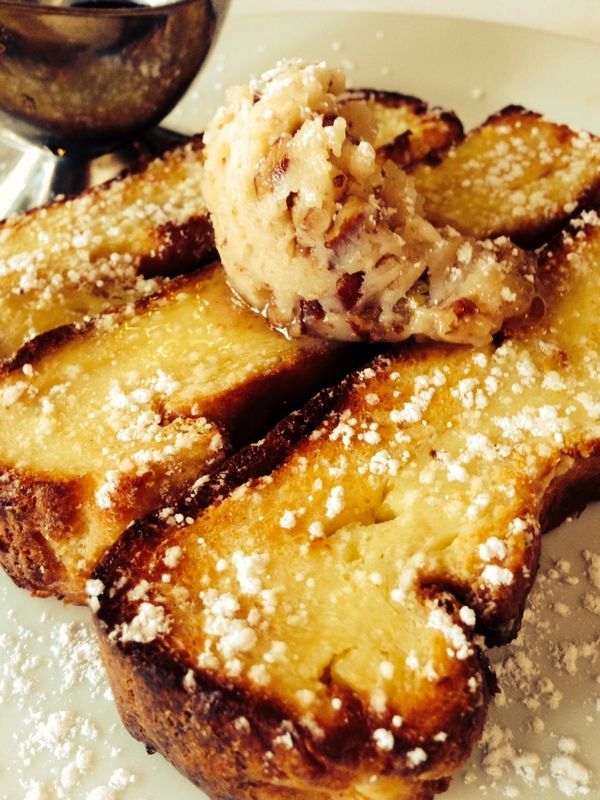 The “French Toast Souffle” is a culinary masterpiece. Whipped together with cream cheese, baked, sliced, and then lightly toasted and presented with pecan butter and maple syrup, this hearty dish is impossible to resist. Breakfast at the Los Olivos Café offers many small delicious surprises. From the toasted rustic, locally baked bread – paired with homemade jellies created by Jessica, wife of General Manager Matthew Negrete, to the chicken sausage made in-house, and even extending to the house-made ketchup; each bite has been well thought out by the Chef for your dining pleasure. For those looking for lighter fare, the house-made granola, plain yogurt, and fresh fruit is just the ticket. The nearby town of Los Olivos offers many quality wine tasting rooms within easy walking distance of each other, in addition to boutique shopping, and fine dining. Established in 1887, the town was originally named after a nearby ranch that boasted 5,000 olive trees. An historical Walking Map can be picked up in town at most of the establishments or downloaded here. Using the map, visitors can take a self-guided tour and learn more about the colorful history of this quaint town.